VIPPD says thank you thank you to each and everyone of you! Indigenous Perspectives Society and Vancity Victoria Community Branch and Vancity Langford Community Branch for coming to our rescue with extra canopies! Michele, aka Our Most Exalted Chopped Liver – you did a fabulous job with the magical threshold to prosperity! 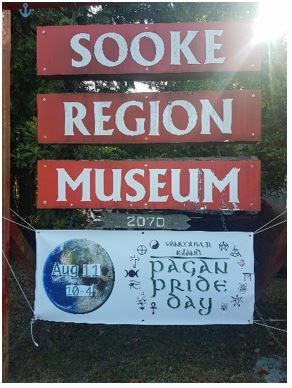 Our marvellous Vancouver Island Pagan Pride Day Vendors, Readers and Information Tables – thank you for all your fantastic donations to the raffle table as well!